Wax digger and producer for over two decades Jay puts on the editor's hat for this new release. 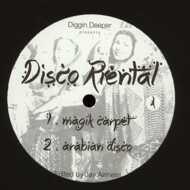 Driven by discoid baselines the influences of this 4 track ep are oriental and mediterranean grooves. 4 surprising tracks tailored for the dance floor and ready to delight the open-minded and curious listener.